Your Eldercare Consultants is an affiliate of CJE SeniorLife, an innovative, comprehensive provider of life enrichment, supportive resources, healthcare, research and education for more than 23,000 older adults and their family members every year. 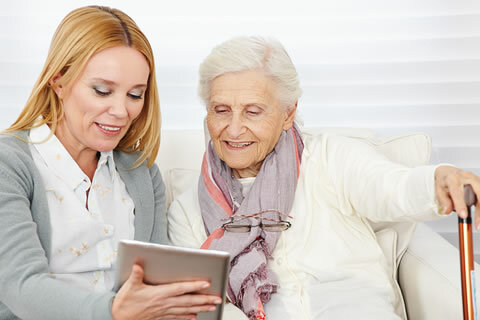 Your Eldercare Consultants is a team of caring, professional geriatric care managers with advanced degrees in social work and training in Gerontology. Your Eldercare Consultants, our geriatric care management team, are professionals who can respond to your questions and concerns related to the challenges of aging. "The staff of Your eldercare Consultants arranged for Mom's caregivers, coordinated services, set up rides to the doctor, and most of all, became close family friends." Your Eldercare can help. Whether you’re interested in our commitment to Alzheimer’s and dementia care, Parkinson’s programming, healthy living and wellness topics, caregiving tips and resources, discovering more about any of our residential communities, or learning more about our donors and volunteers at CJE, we’ve got something for everyone! These Helpful Articles are a collection from past CJE SeniorLife magazines and newsletters organized by subject. Please click on the subject to find a listing of related articles.